Startups can generally not afford to pay huge salaries when hiring key people for the company. Instead most startups want to offer a combination of salary and a (small) stake in the company by implementing an employee incentive plan. As we have set out in one of our previous blogs, employee incentive plans can take several forms. The most frequently used incentive plans in the Dutch startup scene are SAR-plans (Stock Appreciation Rights plans) and depository receipt plans (in Dutch: certificaten plannen). Internationally the most common form of employee participation is an employee stock option plan (ESOP), but due to the Dutch tax system, this is rarely used here. 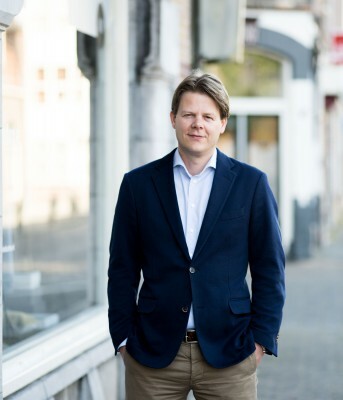 StartupDelta recently advocated for reform of employee option plans in the Netherlands, but it remains to be seen whether this will be endorsed by the Dutch legislator. SAR plans provide the employee an economic right on the increase of share value, and have the character of a financial incentive without any ownership. Simple and easy to set up and taxed as salary. Depository receipt plans, provide a form of shares without voting rights and can work out more favorable from a tax perspective. However, depository receipts plans are more complex to set up and carry the risk of getting into valuation discussions with the tax authorities. It requires to issue shares to a Dutch stichting (foundation) that grants depository receipts of said shares to eligible employees. This creates a form of co-ownership, without direct voting rights for the depository receipt holders. The rights and obligations of the depository receipt holders are governed by the stichting’s trust conditions, the core document of your depository receipt plan. Although neither a SAR plan, nor a depository receipt plan is perfect in all respects, as a startup you will probably go for one of those in order to attract and retain talented and skillful people. We are very happy to announce that we have now put online at www.capitalwaters.nl a standardized SAR plan as well as a standardized set of trust conditions for a depository receipt plan. By default, both plans provide non-transferable rights to employees or advisors of the company , that will vest quarterly over a 3 year period, starting one year after entering into the agreement. Should the company and the beneficiary let go of each other, then the non-vested rights are cancelled. In case of a Bad-Leaver situation, all rights will become cancelled. The SAR plan can be used off the shelf in combination with the SAR agreement which is also made available. For the depository receipt plan, the trust conditions published online include standard terms and conditions that apply to the holders of depository receipts such as a vesting scheme and leaver provisions. They also include a deed of issue of depository receipts. The only other thing you need in addition is to set up a stichting (foundation) and issue company shares to the stichting. For this you have to involve a public notary. Several notaries have already happily offered to set up notarial documents in line with the Capital Waters’ trust conditions for a reasonable fee. Please check out the list of notaries that have indicated to work with these documents here. Of course, depending on the circumstances, you may want to tailor the SAR or depository receipt plan to your specific needs, but the documents published should provide a good set of standard terms. As always we have prepared the documents based on our three basic principles: (i) keep it simple, short and limit the legalese as much as possible, (ii) be neutral, not favoring any of the stakeholders more than the other, and (iii) have the documents open-sourced, make them available for everyone, free to use and free to adapt. Hope you will enjoy using the documents, which as always can be found on our downloads page. Should you have any feedback or suggestions for new features, please let us know at info@capitalwaters.nl.